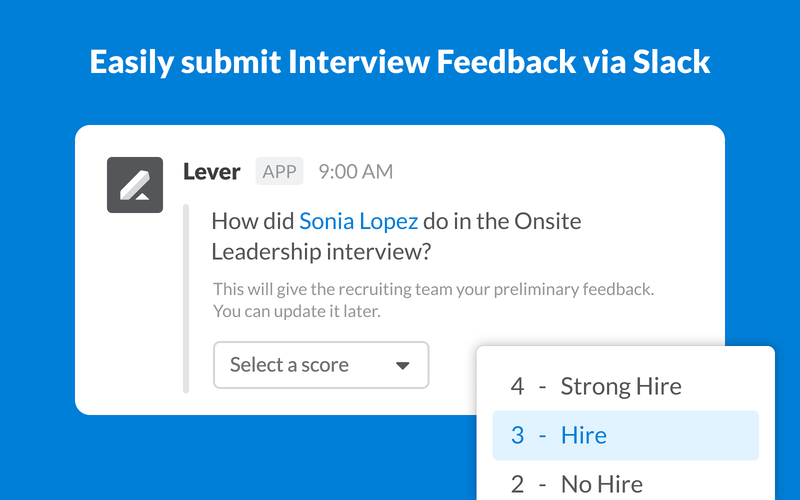 Lever’s Slack integration makes it easy to engage your entire team in the hiring process. From the Lever app, users can post announcements to Slack channels through #mention notes on individual candidate profiles. Using a #mention will automatically push the contents of the note, along with a candidate overview, to the specified Slack channel. Lever will be able to send messages to your workspace. 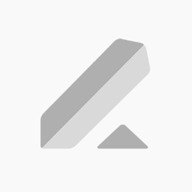 Lever will be able to access basic information about your public channels (including names, topics, purposes, creation date, and latest message). Lever will be able to access basic information about your direct messages (including names, topics, purposes, and creation date). 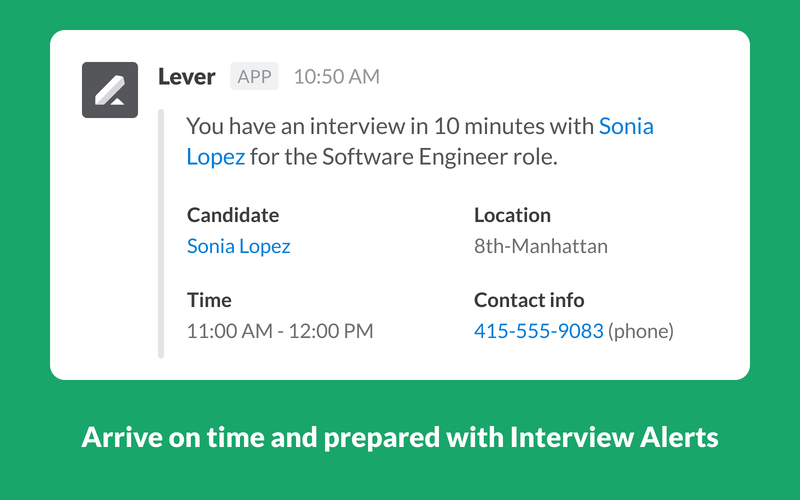 Lever will be able to modify the unread status of your direct messages. 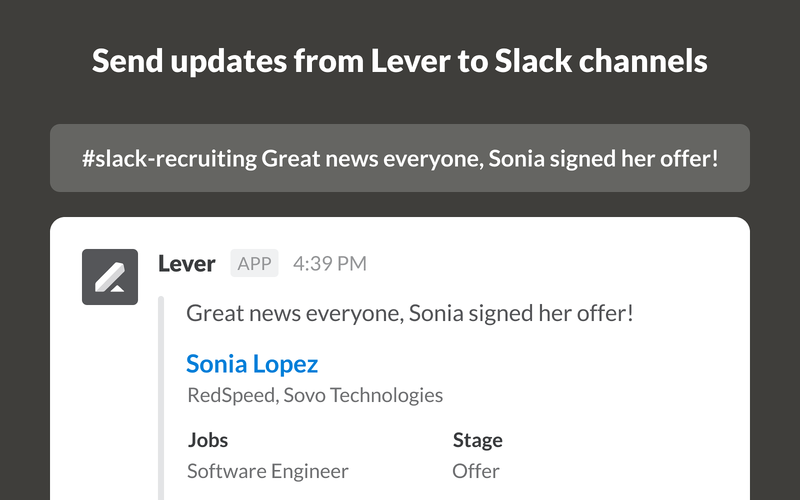 Lever will be able to view the email addresses of your Slack workspace’s members. Lever will be able to install a bot user that appears in and has access to your workspace’s directory. It can also post messages and view activity on messages in any channel it is invited to. Lever will be able to access profile information for all users on your workspace, including names and contact information.